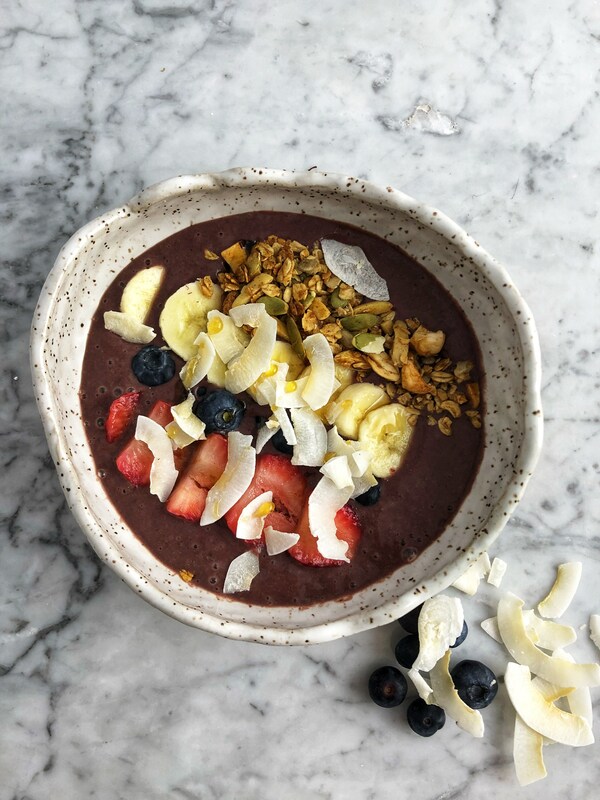 Our most popular “go to snack” and “quick breakfast” is definitely this Acai bowl! Acai berries are supposed to be the highest antioxidant fruits around! Not sure if my kids know that but they love the taste and its is always requested, so that is a plus! If berries are in season wash and freeze them the night before for this recipe. Or if you forget like me, wash some as soon as you buy them and keep them available until you need them. That way the consistency stays slushy… you want everything to be super cold!